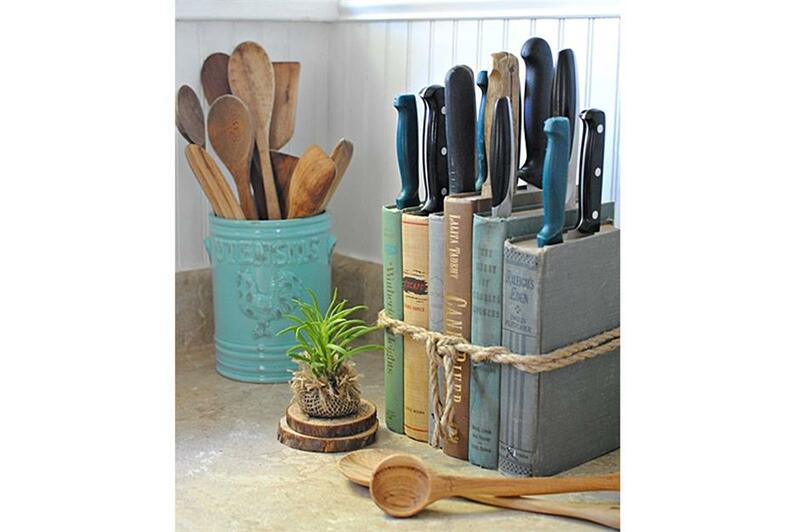 Give old books a new purpose on the kitchen counter as quirky storage. Pick out four or five neglected volumes and transform them into a knife block by binding them with a piece of rope. Leave a little space so that you can comfortably slip a knife between the pages. If you've fallen out of love with an old coffee table, give it a spruce up with some decorative paintwork. Sketch on a design in pencil before you commit to the pattern or use a ready-made stencil that you can pick up from an art shop. Use oil-based paints for a durable finish that'll stand the test of time. If you scour scrapyards and auctions houses, chances are you'll come across a few worse-for-wear ship bulkhead lights. For a quirky light fixture, fit a new bulb and light cord behind the cage. 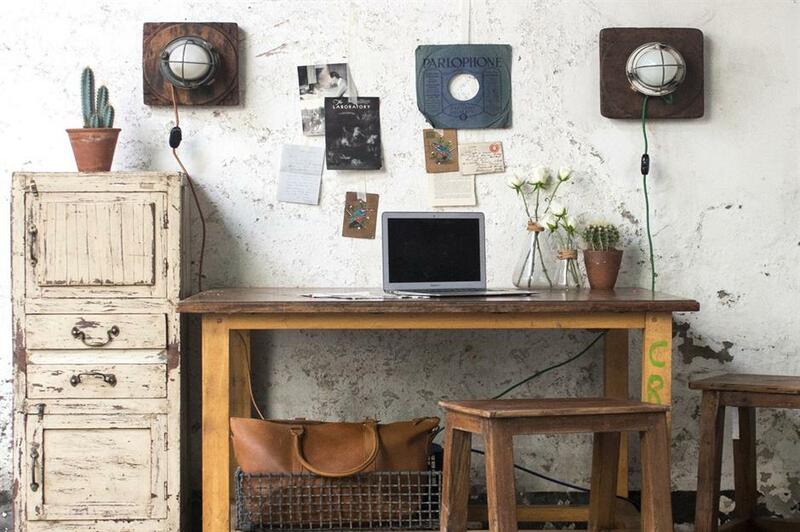 Mount onto a distressed piece of wood for the perfect vintage lighting solution. A fresh lick of paint can really be a gamechanger. 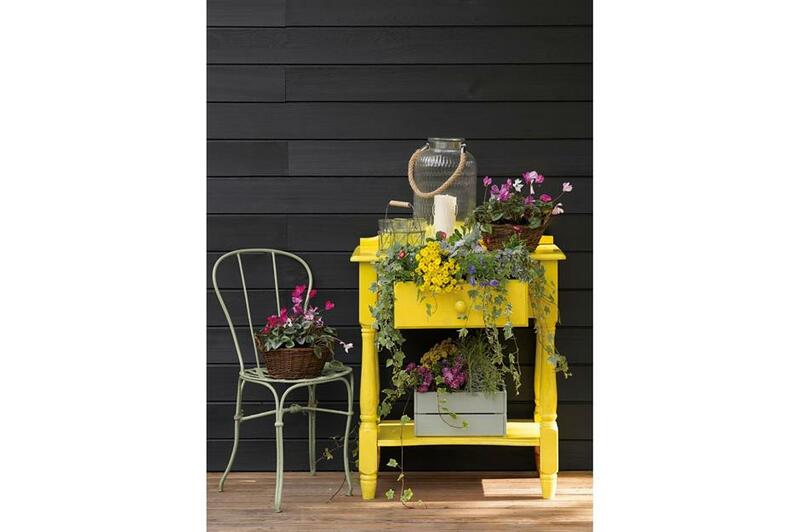 This disused side table has been transformed into the perfect indoor-outdoor plant display, thanks to a sunny splash of yellow. 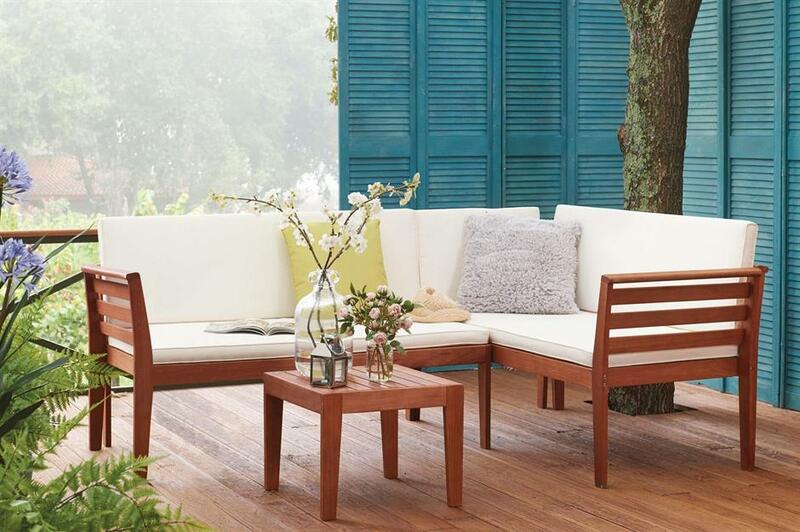 To recreate this look at home, make sure you use waterproof garden furniture paint. An easy way to add budget-friendly storage to your bedroom is by upcycling an old wooden box divider. Their square shelves are ideal for displaying small ceramics and plants – plus they make a great addition to a vintage-inspired bedroom. If you have a few old wooden ladders gathering dust in your garage, this next upcycle is a nifty way to repurpose them into extra storage. Decide how many shelves you need and cut between the rungs of the ladder accordingly. For extra stability, frame the shelving with some old wood and attach a smaller length of rope or string at the top of the unit for hanging. Weathered trucks are ten a penny in scrapyards. 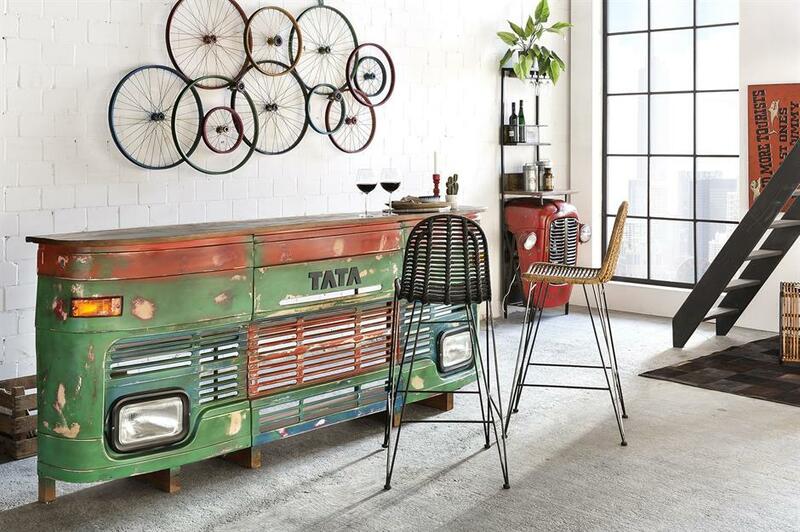 With help from a blacksmith, the front of an old heavy goods vehicle can be transformed into a trendy bar – just add a wooden counter and embellish with metal spray paint for a vintage finish. 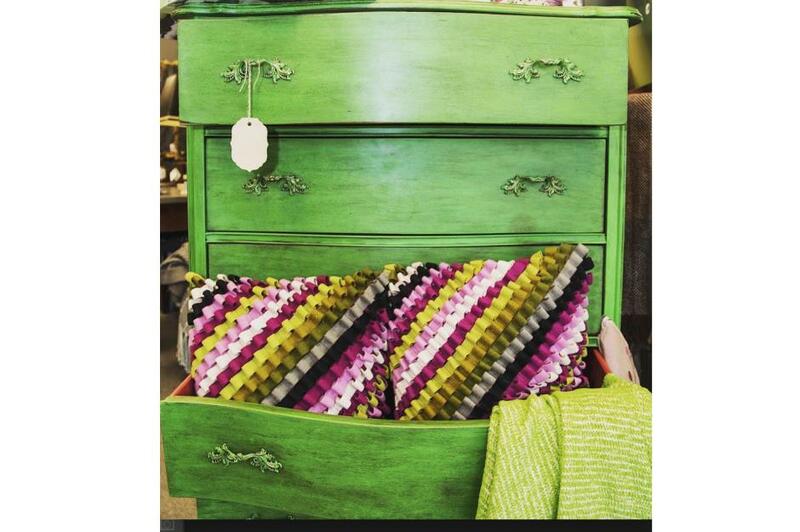 This project is a great way to add a fun flash of colour to a bureau without bringing out the paint cans. Choose a bold wallpaper and line the sides of the drawers for a vibrant peek of pattern. Fancy a stylish sunscreen without shelling out big bucks? 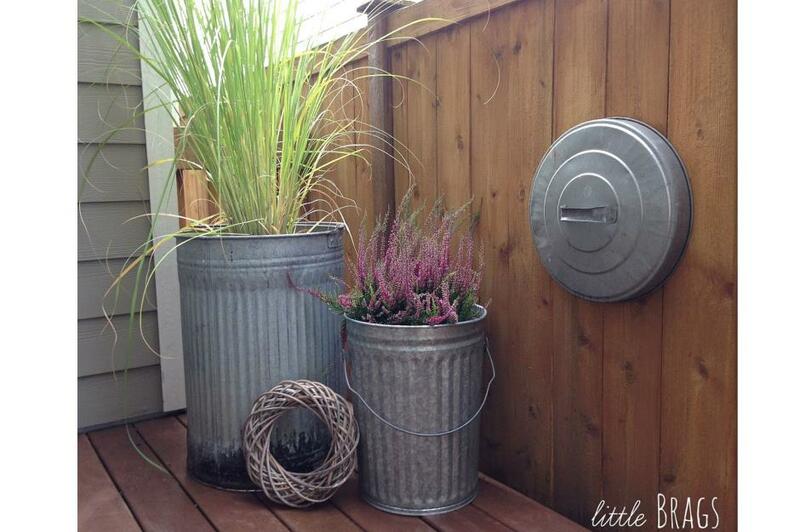 Salvaged shutters are a great way to add privacy and texture to your outside space. 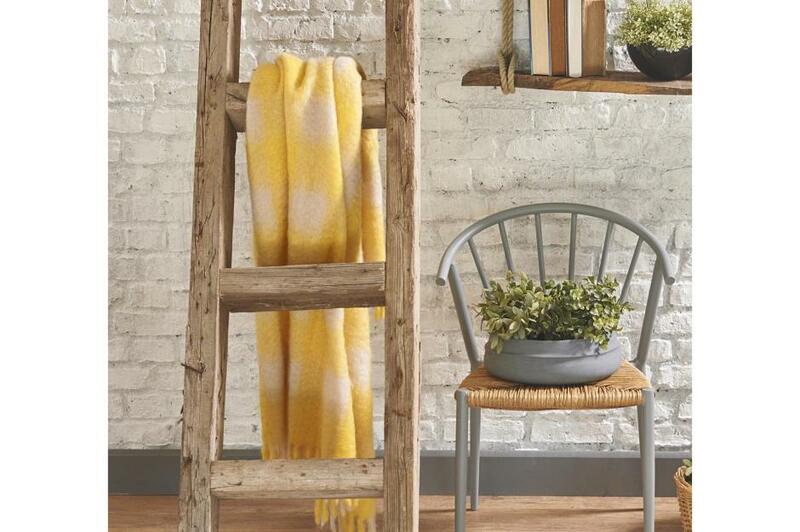 Repurpose with a bright lick of paint for a warming Mediterranean-style scheme. Head to any house clearance warehouse and you’ll be sure to find old dining chairs for as little as a few pounds. They’re great starter revamps for those looking to get into upcycling or upholstery – fabric remnants and tester pots are all you need to totally revive them. Love this? Check out these top interiors trends set to drop in 2019. 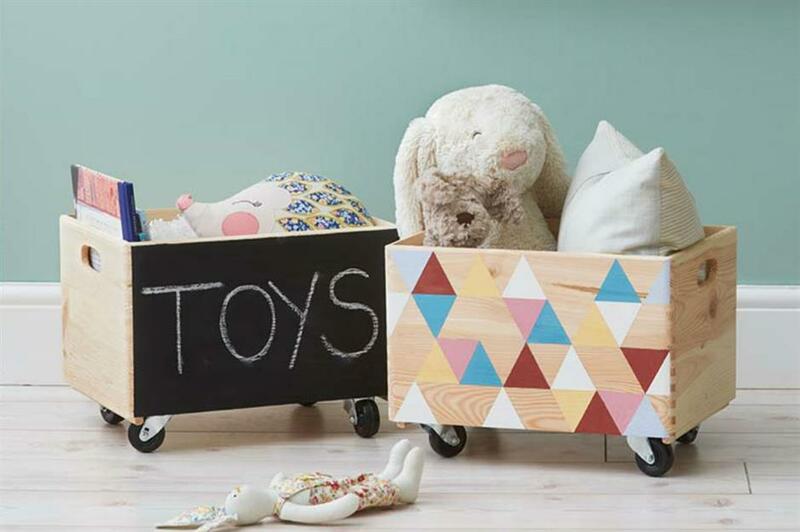 Keep your kids’ toys neat and tidy with a pair of wheelable trunks. Pick up a couple of old wooden apple crates from your local car boot sale and pair with casters for the perfect storage solution. Coat the front in blackboard paint or create a colourful design. Old teacups and saucers are ten a penny in most secondhand shops these days. Why not have a go at screwing some together to make cake stands, bird feeders or jewellery holders. 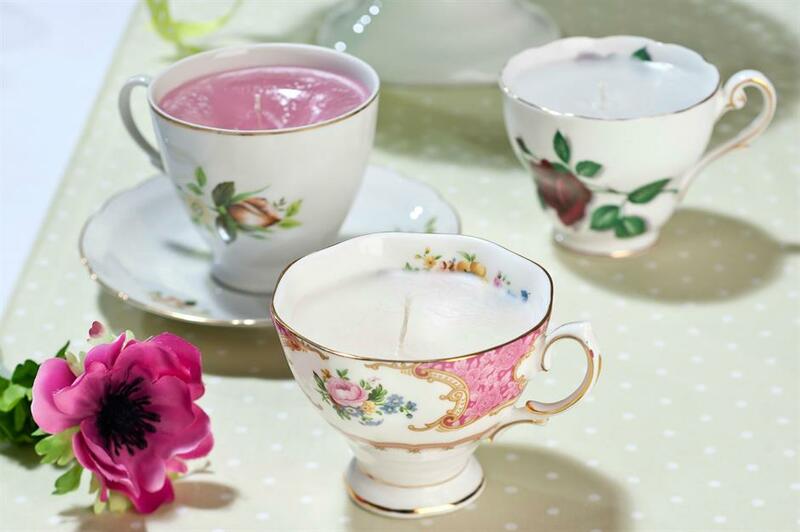 Or try this idea and fill the cups with wax to make candles. If you're short on space in your kitchen, transform an old chest of drawers to create a snug centre island. After a quick lick of paint, affix an off-cut piece of worktop, pop on some casters and screw some hooks to its side. It'll be the perfect place to store all of your kitchen essentials, and you can wheel it around, too. 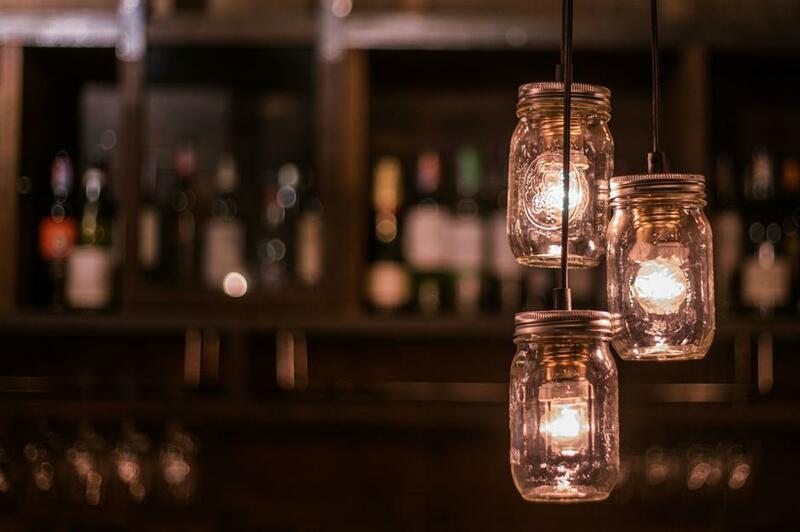 Kilner and Mason jars are easily transformed into stylish household accessories. Give this one a whirl – purchase light fittings, cords and bulbs from online suppliers and create your own vintage-looking light fittings. Easy to make and so impressive! You know those old cork boards that are so… 1994? Well, go grab yourself a couple, along with a few tester pots of paint. Cut out hexagon shapes from the boards and paint with colourful patterns. Affix to the wall and use as a quirky display. 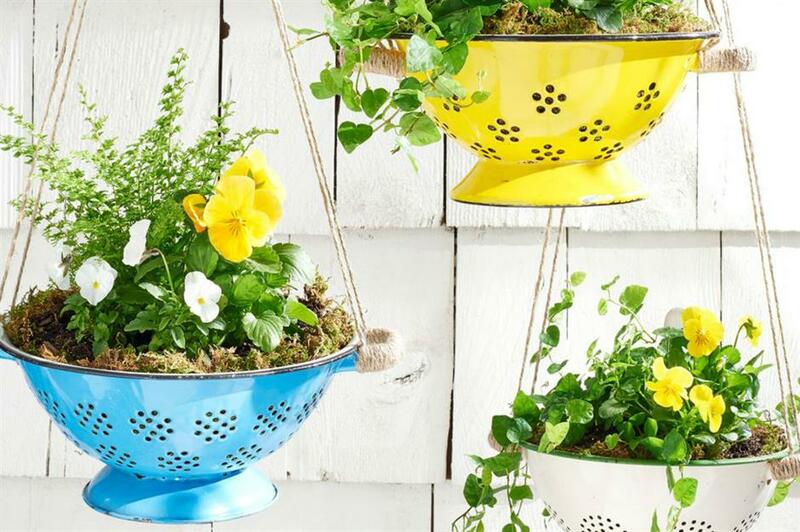 Not just for spaghetti, your trusty metal colander can be recycled as a stylish hanging basket. This one requires minimal prep work – these household staples already have holes in for drainage and they come in assorted colours too. If you can't find the finish you're after, you could always spray paint a plain one if you want to. Simply plant up with pretty flowers and then string up outside your front door. Lovely. 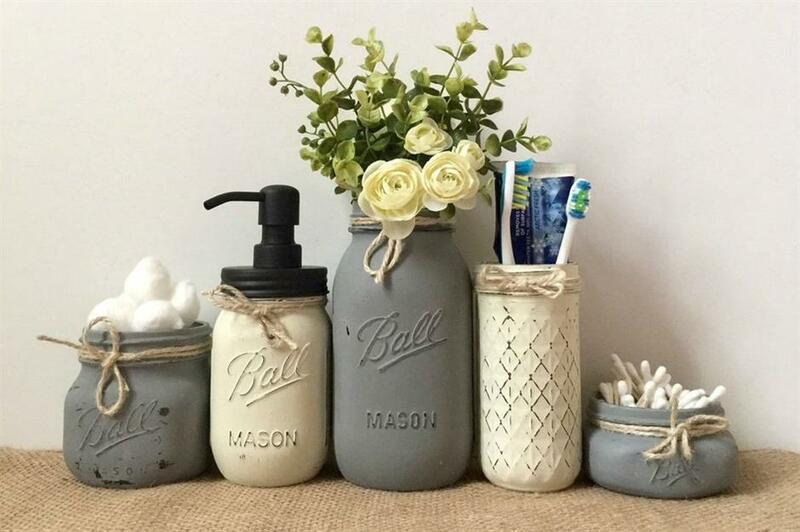 Taking the jar trend further, why not use ceramic pots as dispensers and tumblers for your toothbrush and soaps? Simply paint with gentle grey and soft cream, and then lightly age with sandpaper. It's a perfect way to perk up your bathroom on a budget. 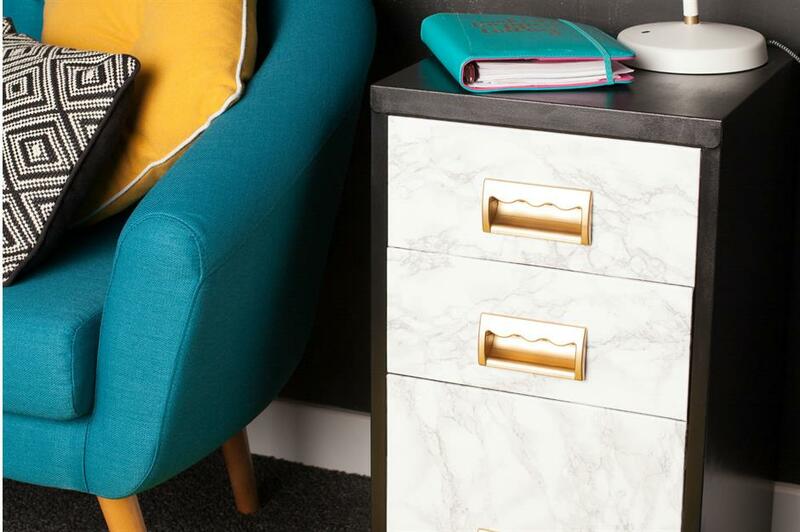 Bet you didn’t think a bog-standard filing cabinet could look this stylish, did you? 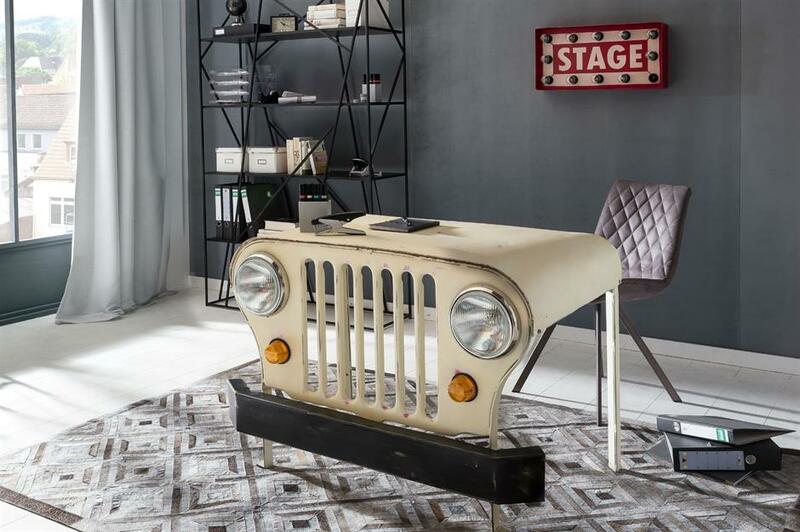 Those clever folk at Rust-oleum have put together an easy guide to transforming a rusty piece of office furniture into a side table you’d proudly place in your living room. All you need is some spray paint and sticky-back plastic. You may require a little help from a professional for this one, but if you’re prepared to put in the effort then you'll end up with a piece of furniture to really be proud of. To start, you need to find yourself an old car bonnet (preferably a Jeep). 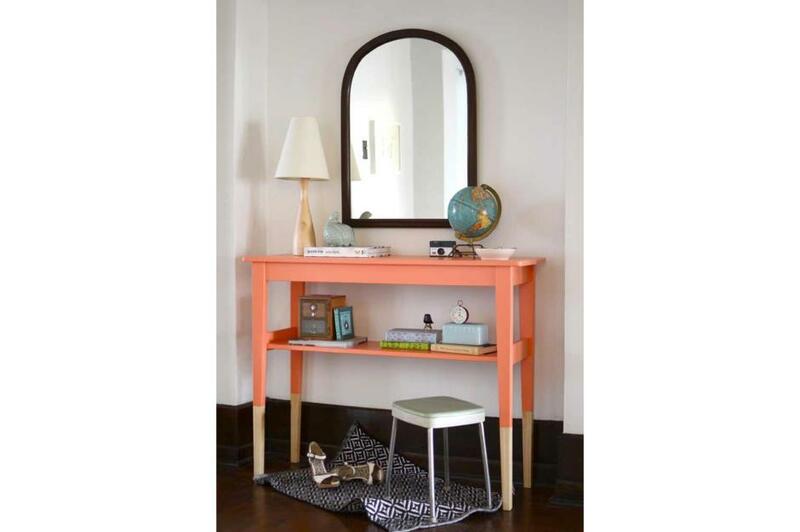 Clean it up, affix some legs and see it transform into a practical and stylish desk. No longer readily found in schools, the trusty yardstick is becoming a little redundant these days. Have a rummage in local antique centres and charity shops and you’ll find enough to create a totally unique coat rack like this. 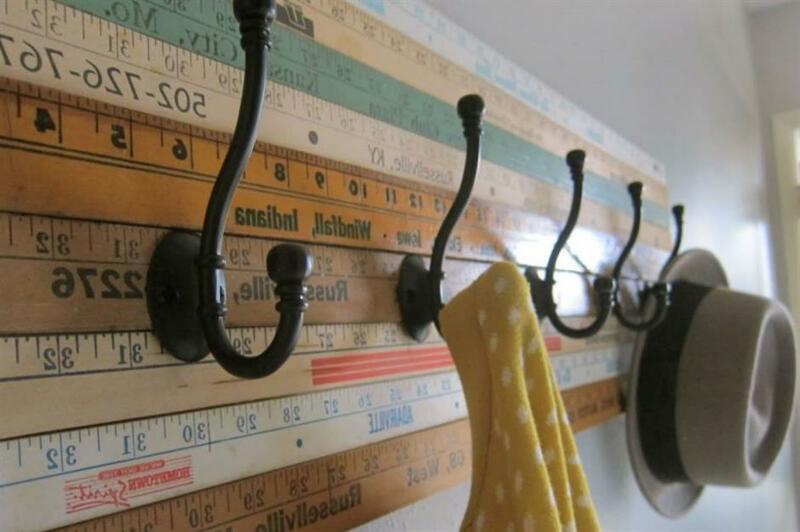 Take a piece of MDF and glue each ruler to it, screw in some elegant hooks, and then pop on the wall. It'll be a talking point for all that come to visit. Give your desk area a quick makeover with this cool idea. A splash of bright colour on the wall is the first step. Next, give some old clipboards a freshen up with a coat of white paint and then cover with wallpaper samples. 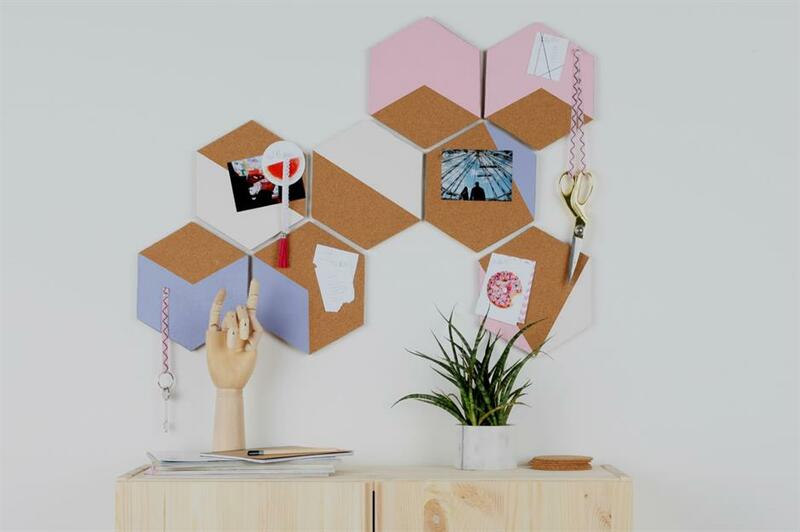 Affix to the wall and you’ve got yourself a creative noticeboard to hang photos and memos. This one is a little more difficult to recreate because it's not every day you find an old grand piano lying about... But, if you happen to have one at your disposal then you’re going to love this idea. With the top and internal sections removed and some shelves fitted inside, it becomes a striking display unit for books and ornaments. 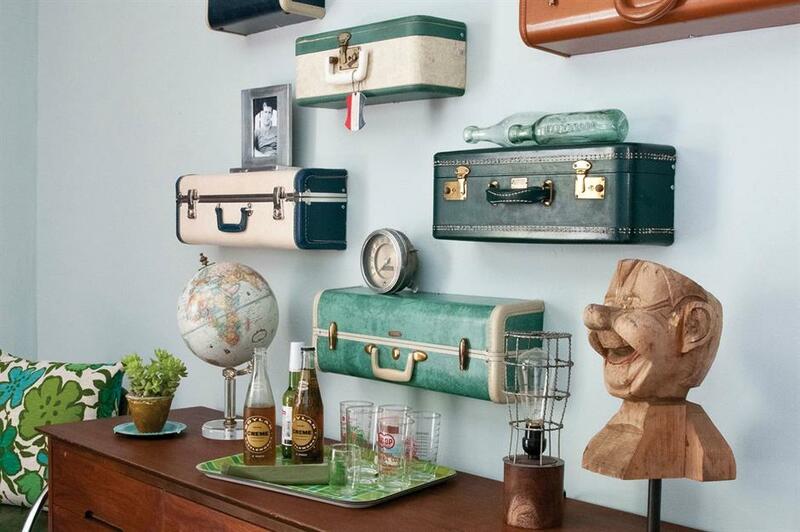 Old suitcases can be transformed into so many things – tables, seats and even shelving. Neatly cut the fronts away and affix them to the wall. A grouped display like this by elina.me looks really impressive. They can’t be opened, but work brilliantly as wall shelves. Love this? 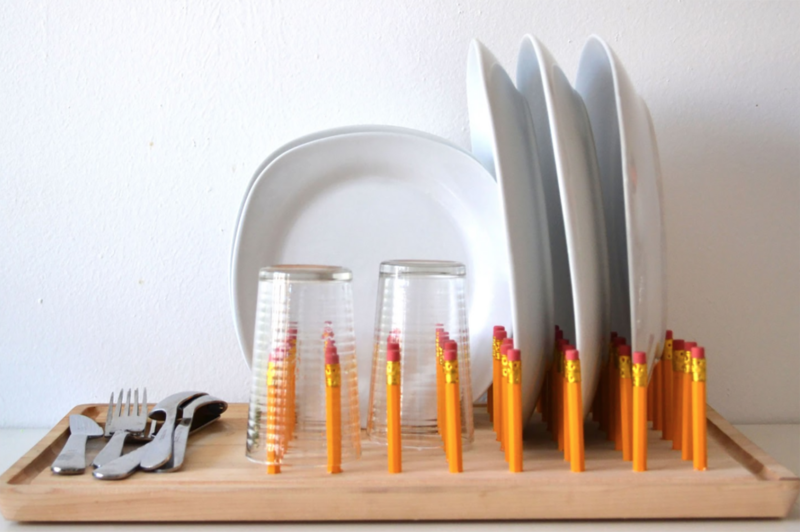 Check out these 80 amazing storage hacks you have to see. One of the best things about upcycling redundant or old items is that you can get really creative. 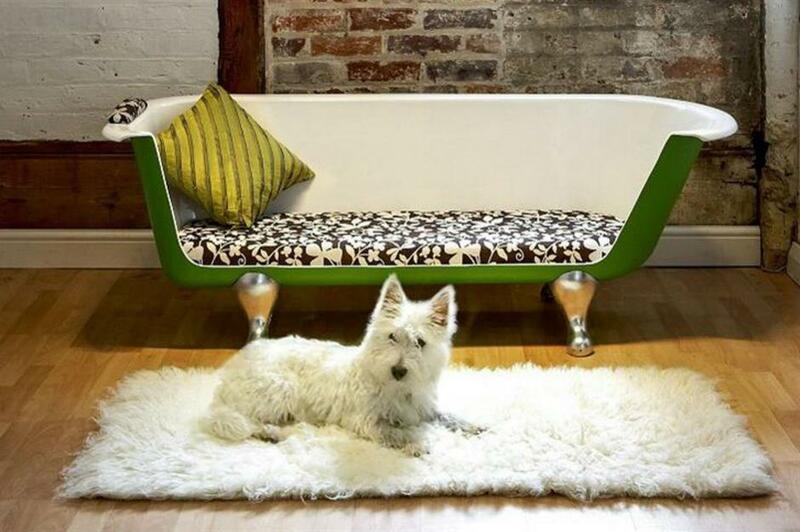 Look at this sofa that's been made from an old roll-top bathtub. The designer has cleverly cut away one side and upholstered a seat pad to pop inside. 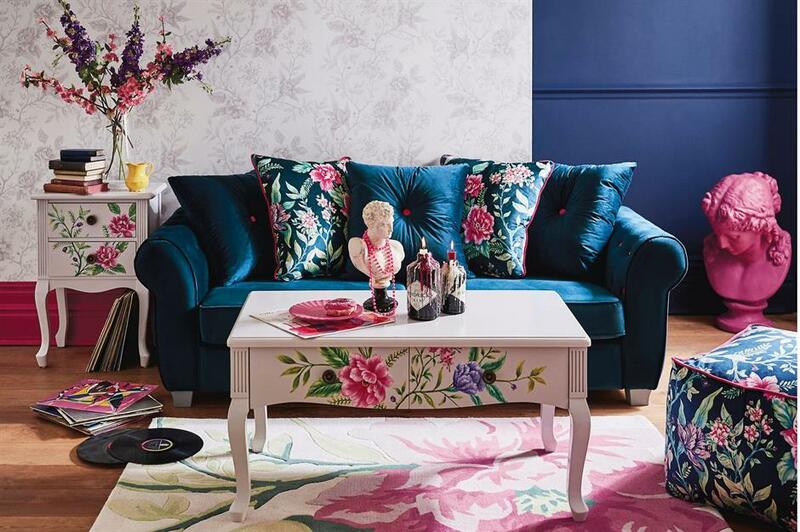 A lick of paint and an accent cushion are the perfect finishing touches. Try it yourself or pick one up from Reestore. 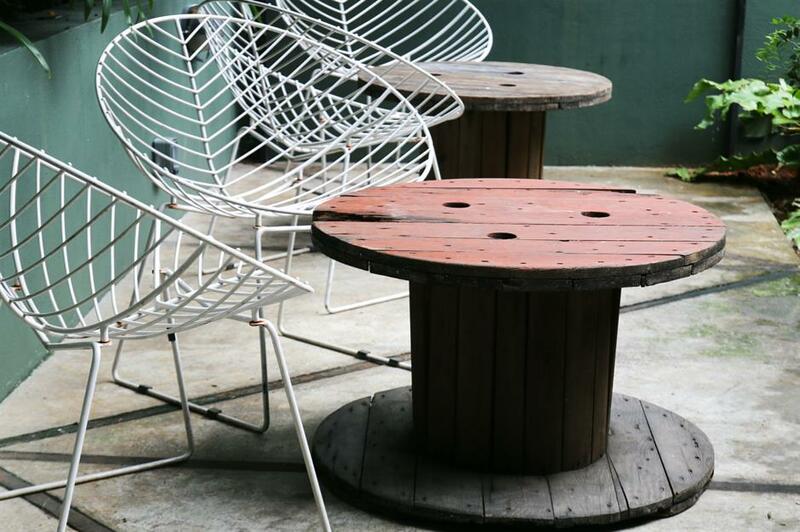 Oversized empty cable reels, used to carry electrical wiring, lend themselves perfectly as outdoor garden furniture. Simply tip the reel drum on its side and then decorate as you desire. You could spray paint it, add mosaic tiles, or even decoupage the top. Smaller reels placed in the same way with cushions on top are perfect as stools. Cheap, functional Ikea furniture doesn't have to be boring. If you're not such a dab hand at painting, why not try decals instead? These clever stickers can be bought in all sorts of colours and designs and go onto furniture smoothly. 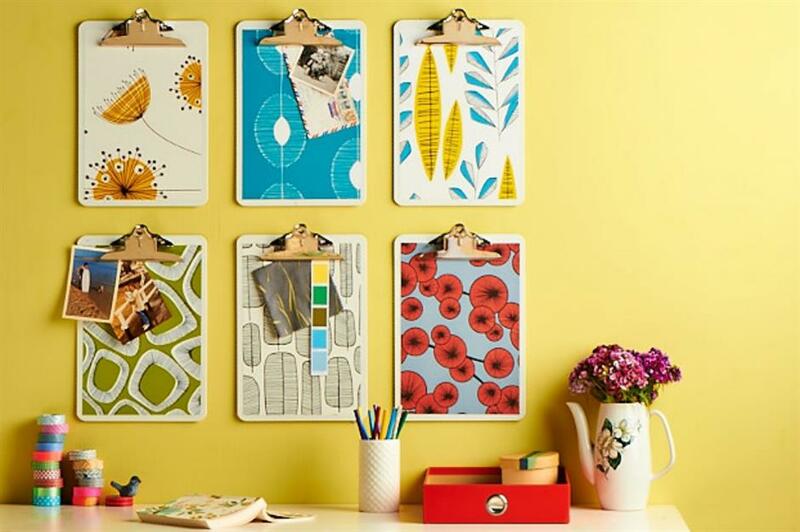 We love this cute and colourful design by Decor8. You don't have to be a DIY whizz to whip up this cute shelf. 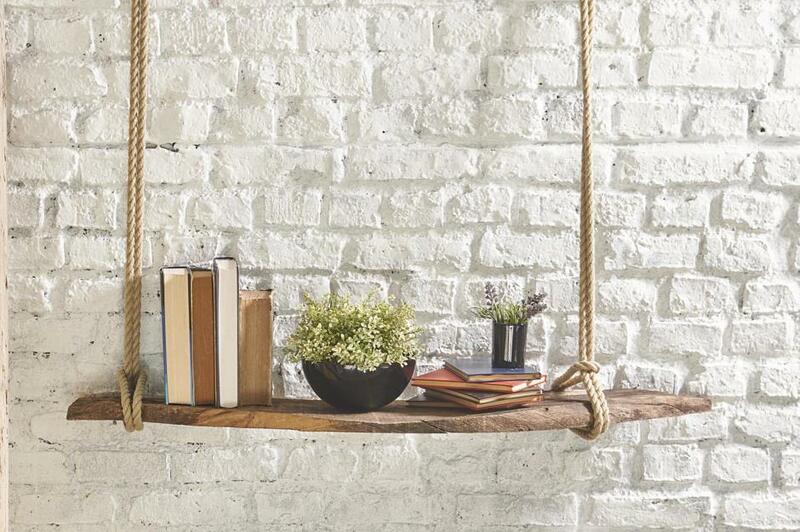 All you need is a piece of old wood and some rope. Hanging shelves are a great storage hack for small spaces as you can tie them back when you don't need them. 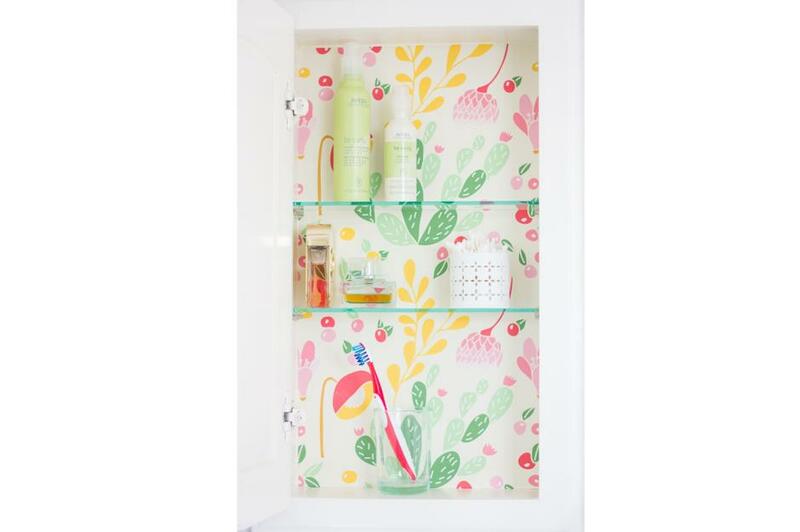 Give your bathroom a cheerful splash of colour with this cabinet idea from Design Improvised. It works particularly well if the cabinet has a glass door. You can use paint, or for less mess, opt for peel-and-stick wallpaper that's much easier to apply. 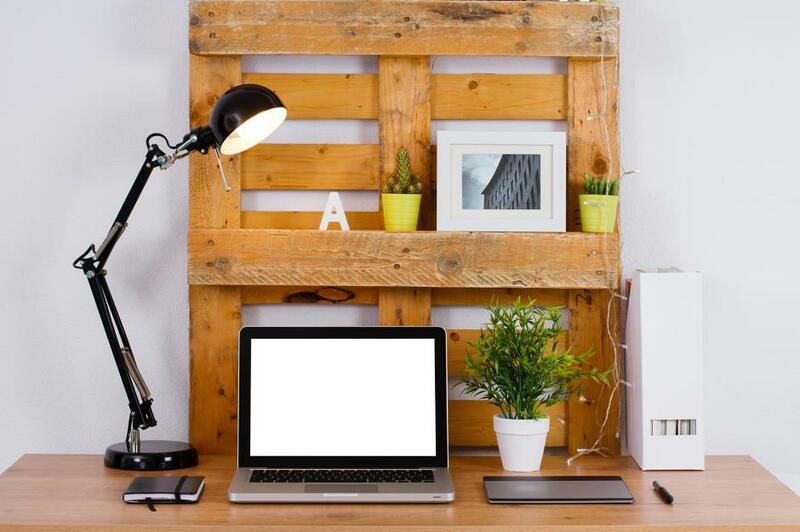 Another great way to get some extra use out of a pallet and add a touch of rustic charm to your workspace, is to use a pallet as a desk tidy. 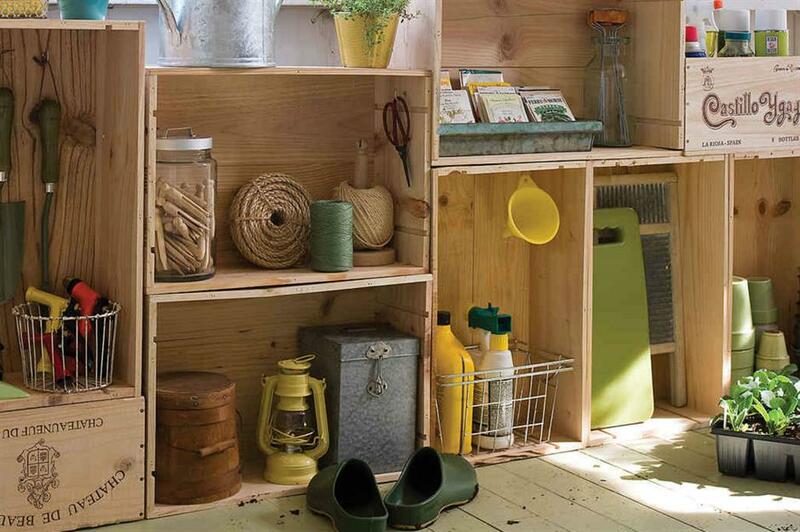 Stand it on one end and use the slats to store and display your personal items. If you're short on space in the garden, you can still create a green area. Just think about growing upwards instead of spreading out. 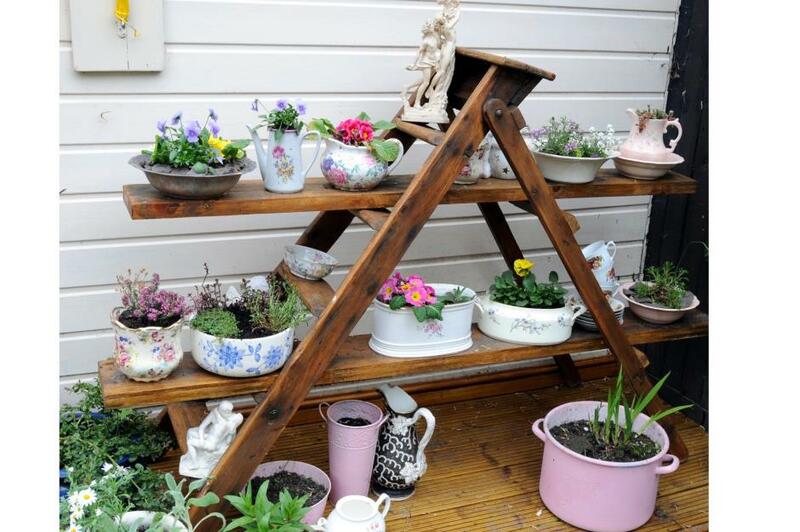 Place wooden planks onto the stairs of a stepladder and build up a garden of pots and bright flowers. 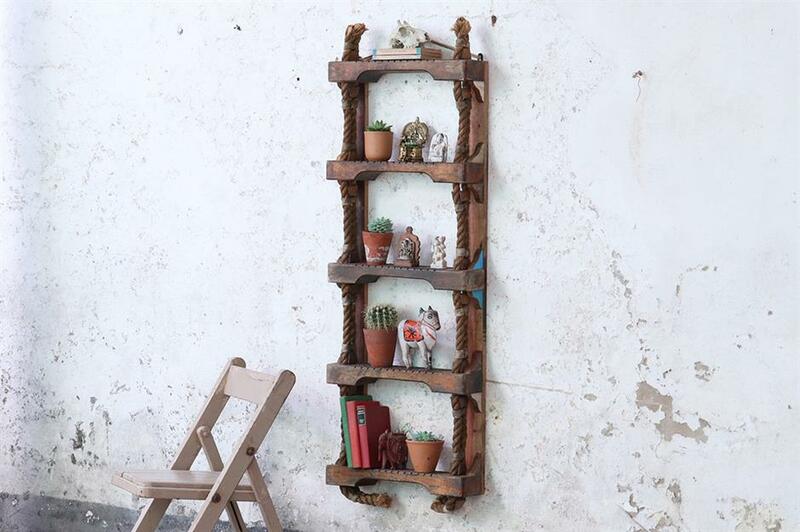 Another creative use for an old ladder is shabby-chic shelving. This can be handy to store towels in the bathroom if you have the space, as well as making an easy-access scarf rack in the hallway. 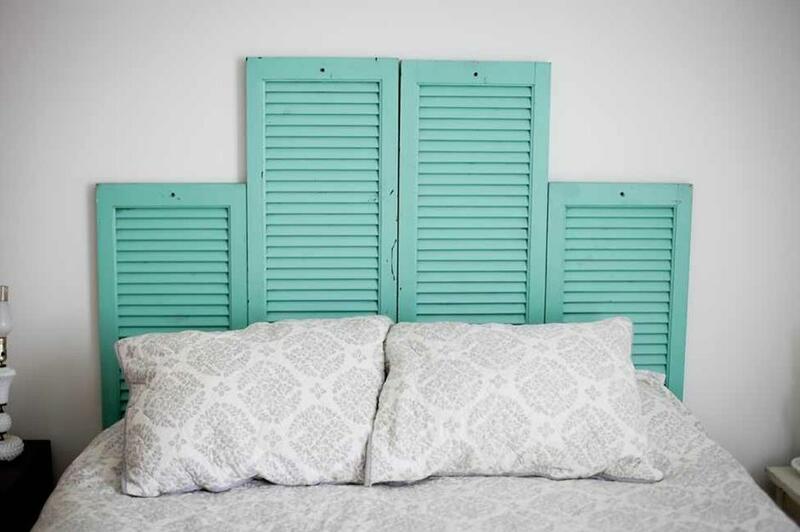 If pallets are too rustic for your bedroom, how about adding a splash of colour with painted shutters as a headboard instead? These come in all sorts of shapes and sizes and make the bed a focal point of the room. 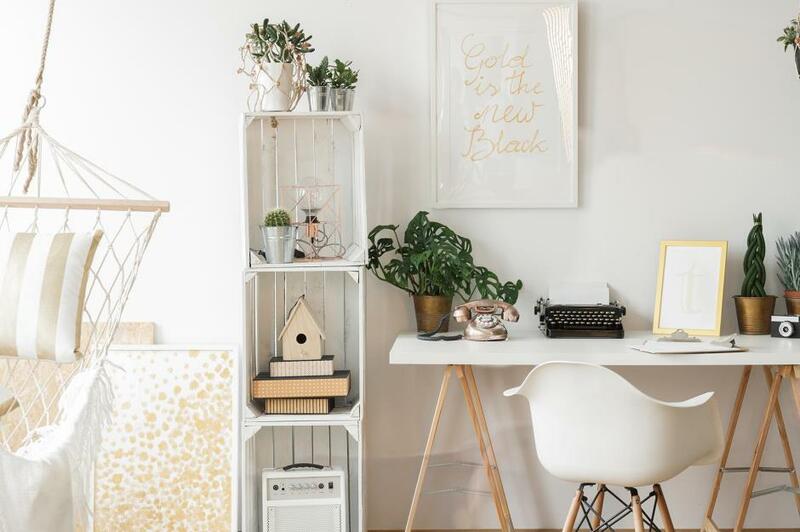 Wooden boxes are easy to get hold of and, with a lick of paint and some careful arrangement, are super-useful and have that rustic quality that cosies up a room – perfect for sprucing up a home office. 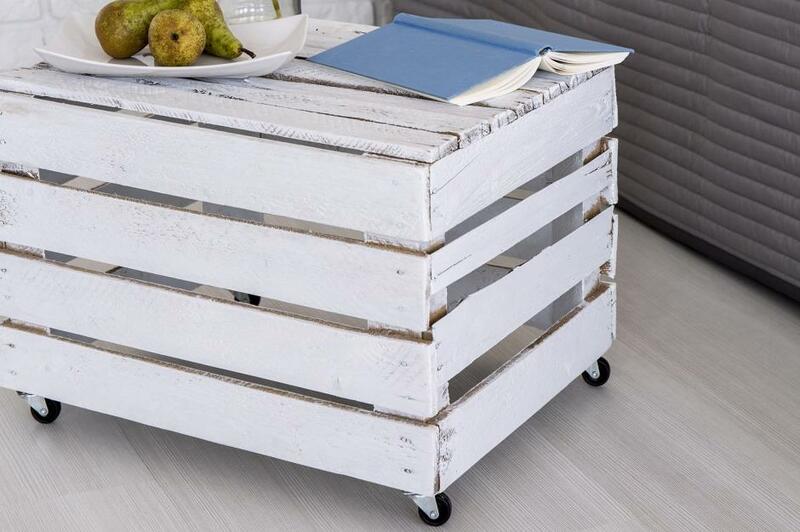 To match the look, overturn a bigger crate and paint it white, then attach wheels and you've got yourself a handy bedside table. 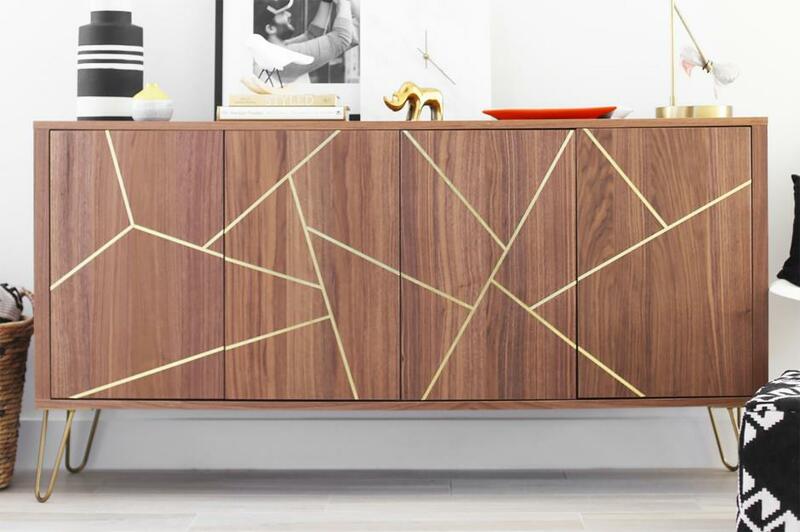 A way to modernise old furniture is to add a few touches of metallic. You can do this with spray paint or a decal, and stick to simple shapes and lines for a clean, classy look. Pieces with two tones or contrasting textures are great for adding brightness and interest to a room. Try dip dying furniture, such as tables and chairs to achieve the look. This as been reverse dipped, so just the bottom of the legs are in the original wood. 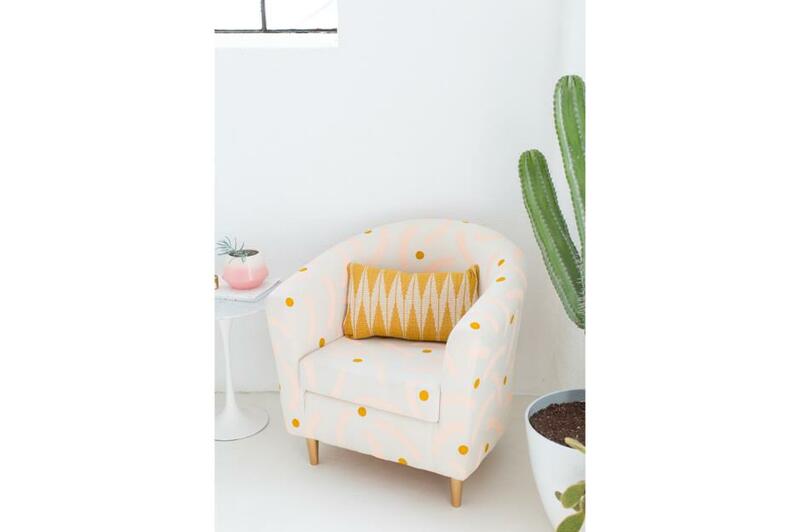 A cute way to bring life back to tired old armchairs without entirely re-upholstering is to give them a colour spruce-up by sponging on some simple designs using fabric paint. If you can bear to wreck your old records (and let's face it, when was the last time you listened to one? ), this is a cute way to keep them on display. They're easily malleable with a little heat and are strong enough to hold your prized wine bottles. Make sure you don't bend anything important, though! Got some old luggage knocking around in the loft? Give it some love with this cute idea from blogger Eve Julien. 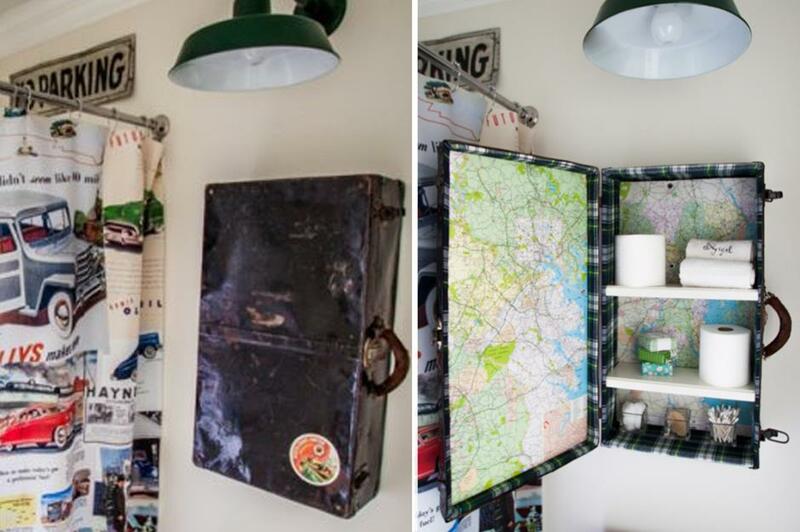 Add some map paper inside and a few shelves and your old suitcase will carry things once more. 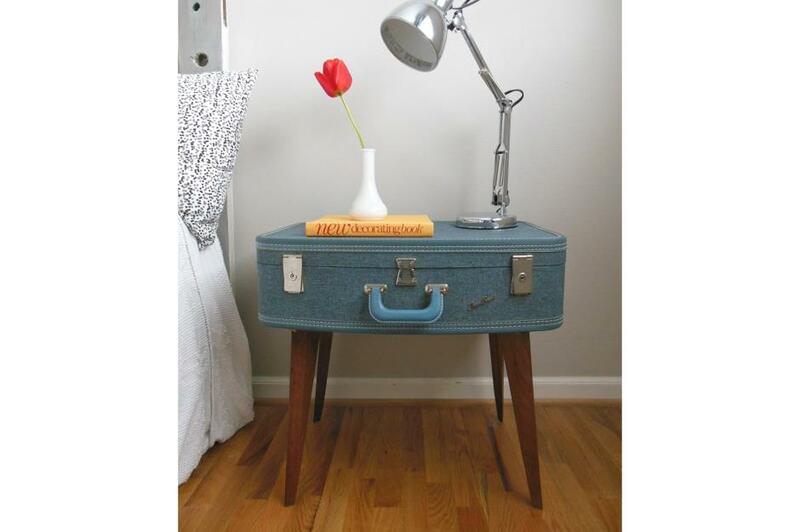 Speaking of old suitcases, the traditional kind with strong sides also make great small tables. 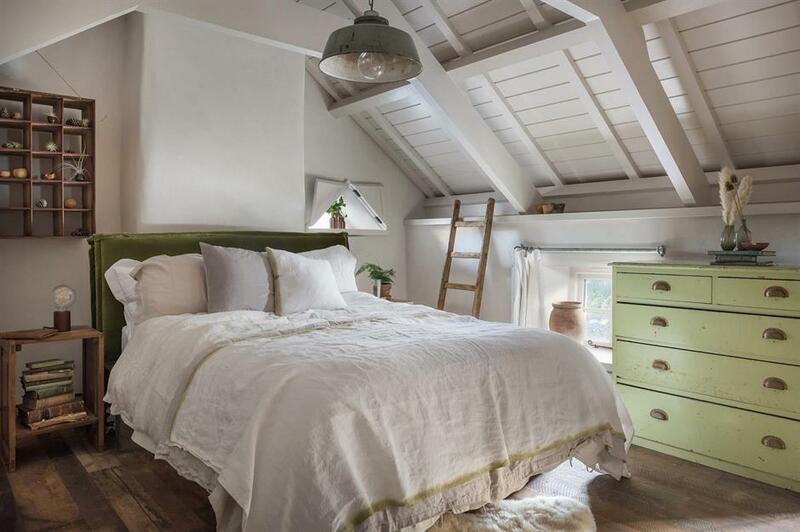 Just add wooden legs securely and you've got a cute new feature in your bedroom. 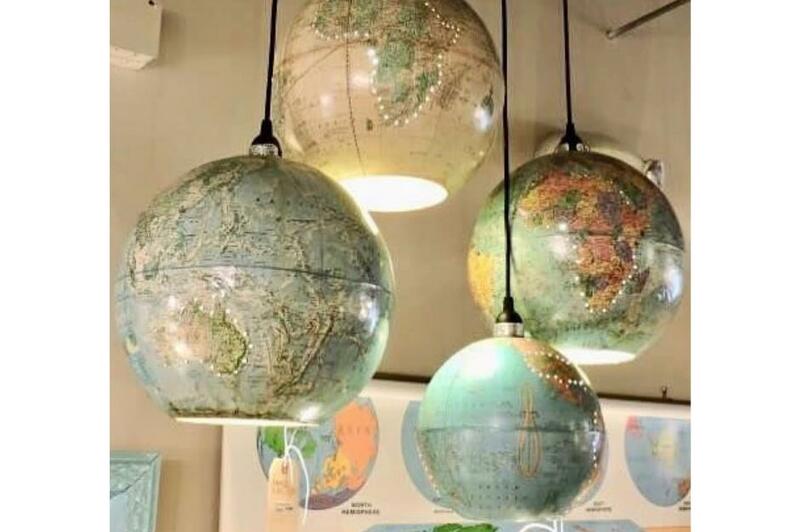 Keeping with a travel theme, how about using old globes as cool light fixtures. They made ideal lampshades and hang them low down so you can use them for holiday inspiration too. 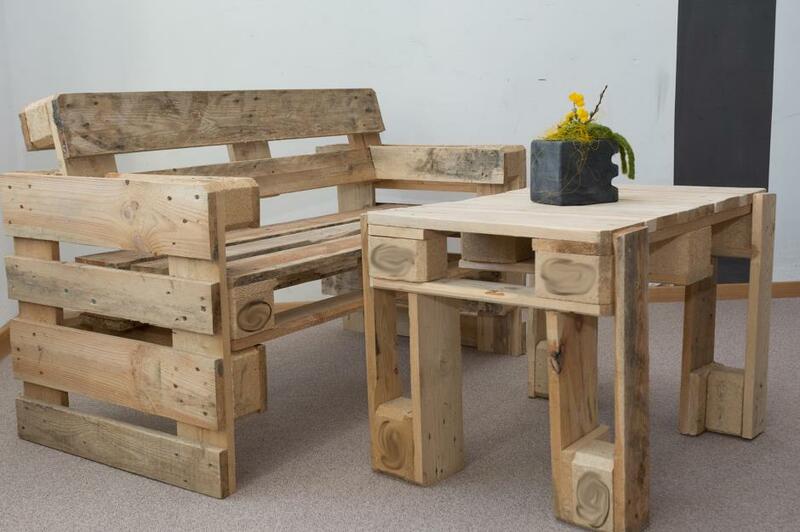 Depending on your woodworking skills, you can make almost anything out of a few simple (and usually free) pallets. If you have a good eye and excellent sawing skills, why not try a whole table and chair set? 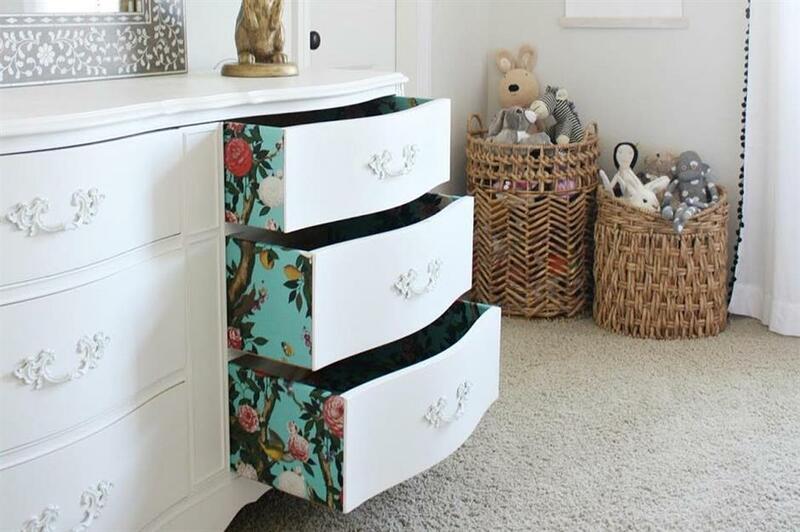 Here's another easy bedroom upcycle you can do. Just put one behind your bed as a headboard. Make sure you sand any rough edges down, and decorate with fairly lights as here. 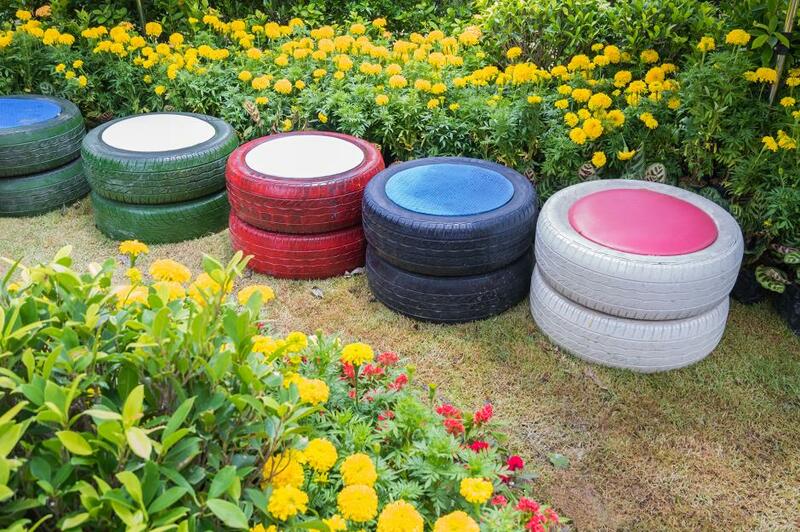 Old tyres are ten-a-penny and there are so many great upcycling ideas to put them to good use. 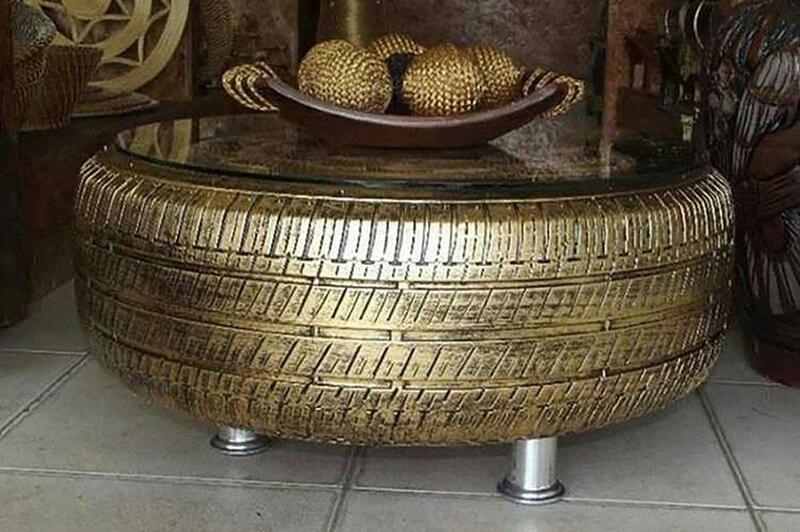 This one now exists as a coffee table, sprayed gold. With added feet and a glass top, it's a quirky option for the living room. If you own a beautiful beach house, this is a lovely idea to reclaim old wooden boats that have seen better days and turn them into a sea-themed wall shelf. 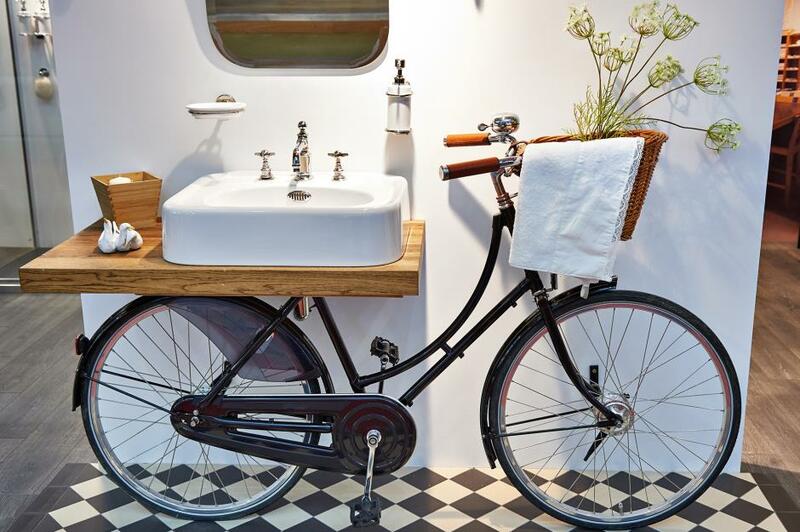 Bicycle lovers won't be able to get enough of your bathroom decor with an old bike doubling as the washstand, towel rack and vase. Old bicycles are easy to pick up but you may need to de-rust and re-spray before it looks as charming as this one. 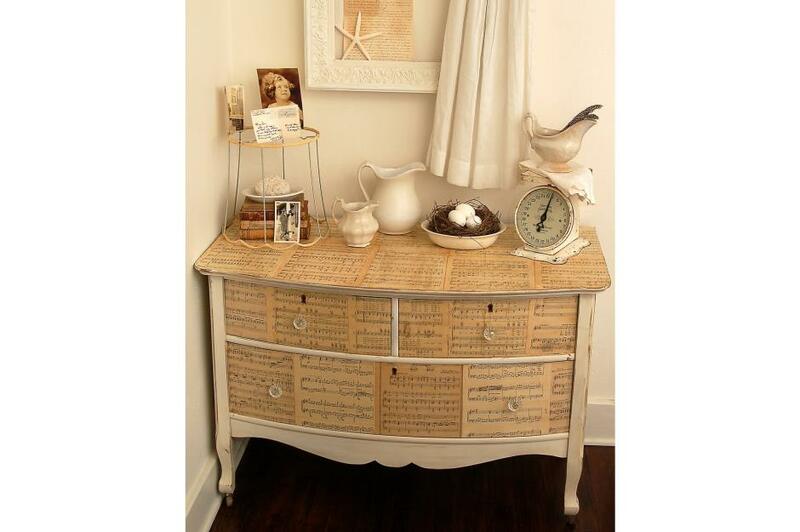 Make music the theme of a room with this cool idea for storage. 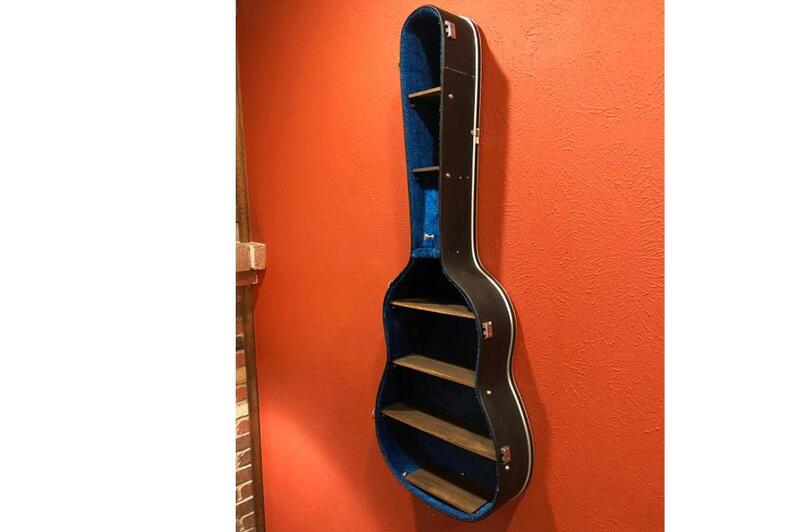 The shelves are put inside an old guitar case, giving you a wall feature and a handy shelving unit. Bring a bit of life and interest to your kitchen with this unique idea for a kitchen island. 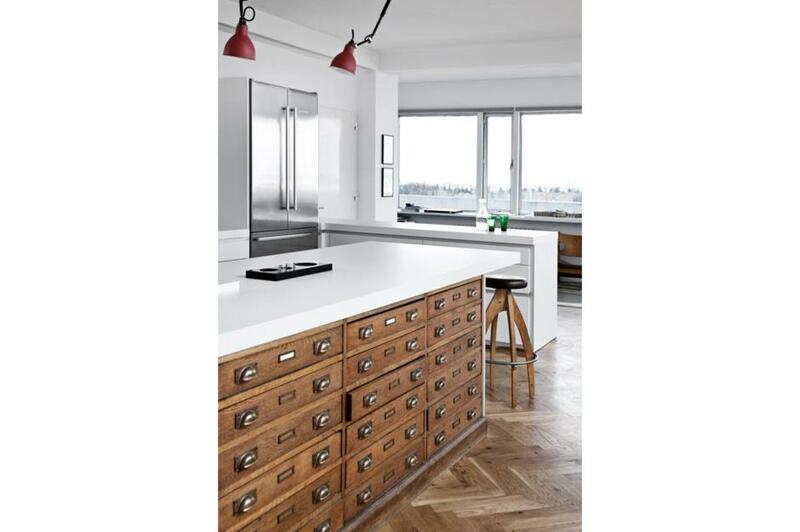 It's perfect for storage addicts, with a multitude of drawers for all your bits and pieces and it has an old-fashioned charm that will contrast nicely in a modern kitchen. 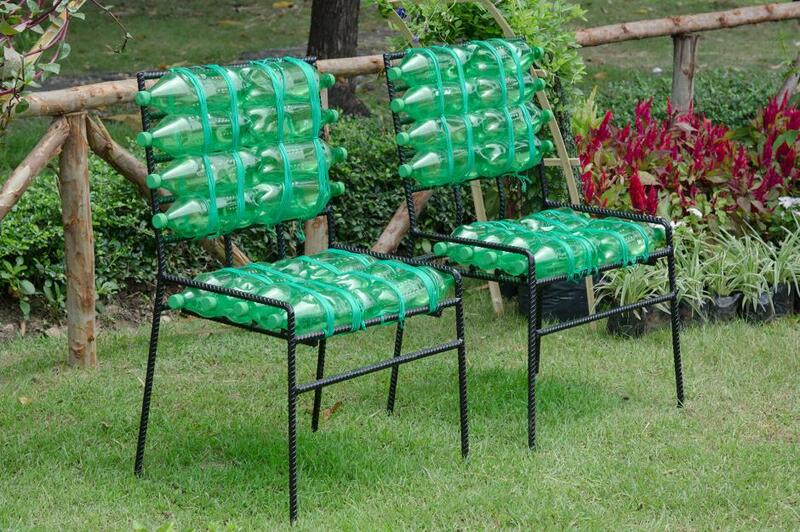 Take your environmentally friendly credentials to the next level with these chairs that recycle old plastic bottles and turn them into a surprisingly comfortable outdoor seating area. Rain-proof and long-lasting, they're ideal for a quick and easy summer project. This quirky design is quick and easy to make and will rehabilitate an old chopping board with the help of some bright little pencils. Drill holes using a 1.5 cm drill bit and use a pencil sharpener to give the pencils a slightly bevelled edge for easier insertion. Head over to Project RE blog for a how to. Bicycles are a beautiful example of traditional engineering, so why wouldn't you want to show one off on your wall? If you have a couple in the loft gathering dust, spruce them up and put them on the wall. They'll be out of the way and getting some use at the same time. 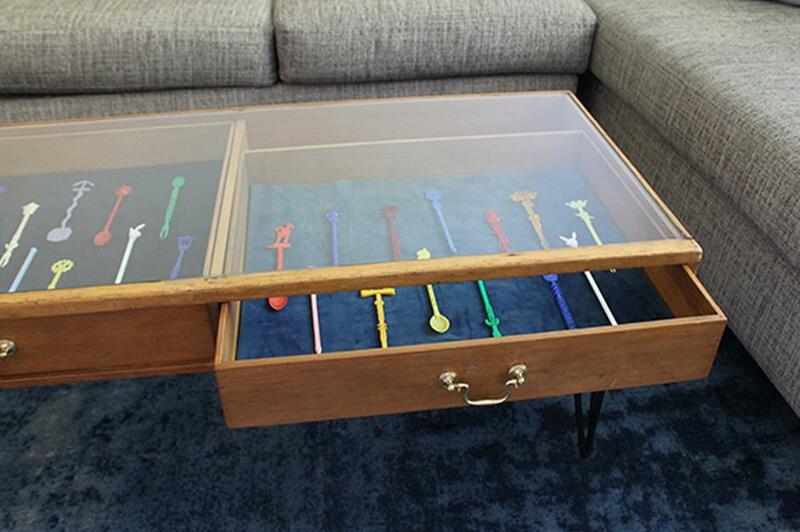 This display-case table has been made out of an old set of drawers and makes a good beginner's project as it just needs a new top and legs. It's perfect for showing off collectable items, or storing newspapers and magazines out of the way. 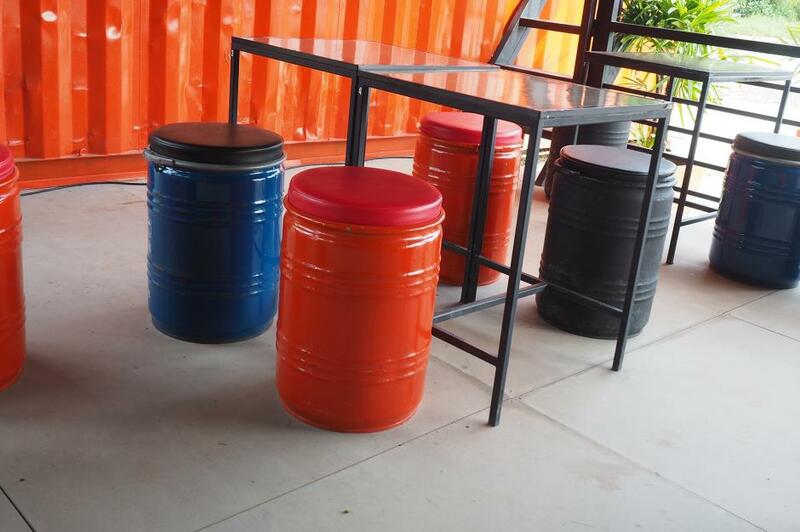 Restaurants and cafes will be happy to give away these oil cans for your upcycling needs. Just give them a clean and a lick of paint and add a cushion seat to the top and you've got a perfect bar stool. Tiers can also be used to make comfy seats, both for indoors and out. Paint them in the colour of your choice, attach two together for height and stretch a rubber seat topper on the centre and voila! 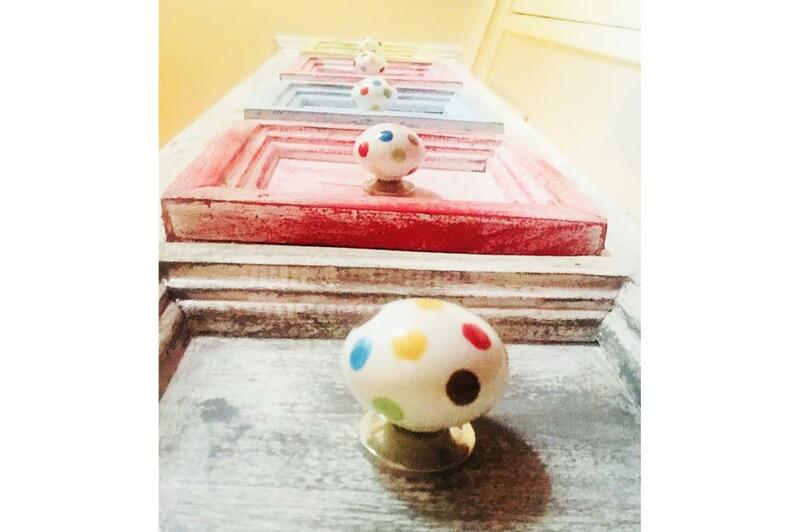 Chalk paint is ideal for brightening up old furniture as it creates a unique slightly-distressed look to wood, which makes vibrant colours look appropriate for a grown-up home, not just a child's playroom. 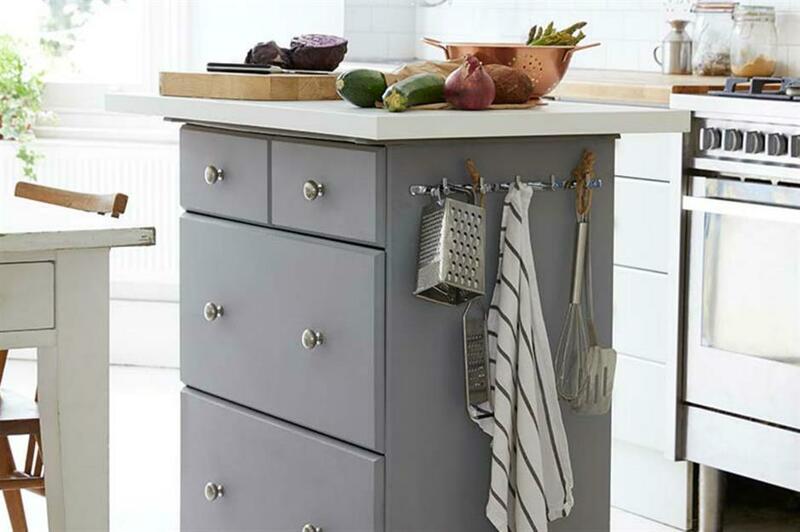 Another super-easy upcycling move is to replace boring, old or battered handles with new ones. These can change the whole look and feel of the furniture, and you can go with traditional metal or funky plastic, and anywhere in between. 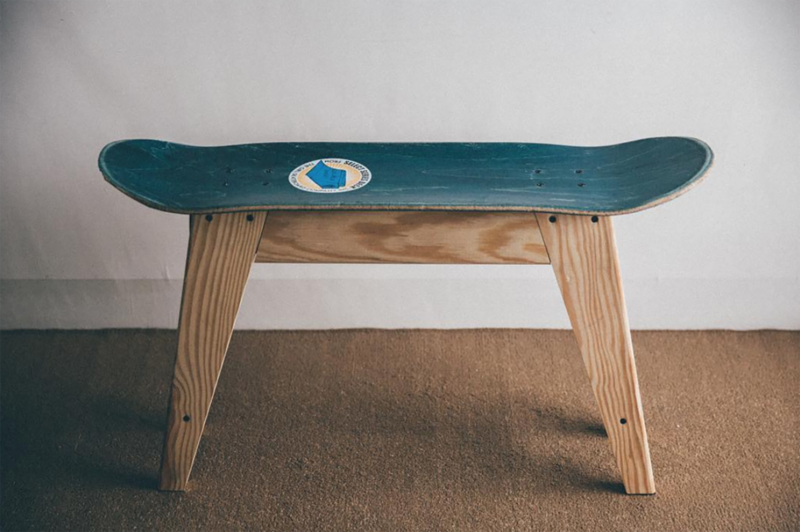 Got a few skateboards kicking around from the last time you tried to be a sk8tr boi? Use them for the next best thing - home decor. This is a really easy project that requires removing the wheels and replacing them with some basic table legs. And it looks pretty rad. Next time your local school's having a clear out, pop down and see if you can pick up some of the boring plastic chairs from the classroom. 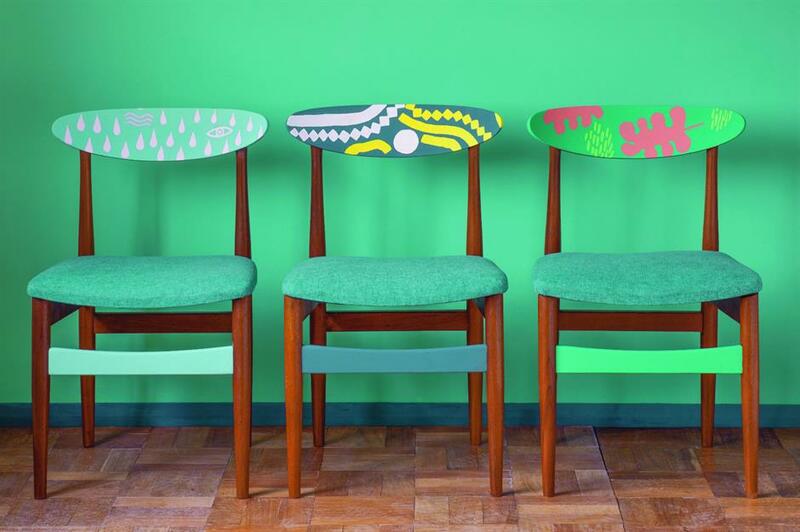 Then add a lick of paint and some fun designs and you have yourself a bargain feature chair. Wine crates are easy to get hold of and they usually look well-used and have a vintage quality that's completely natural. 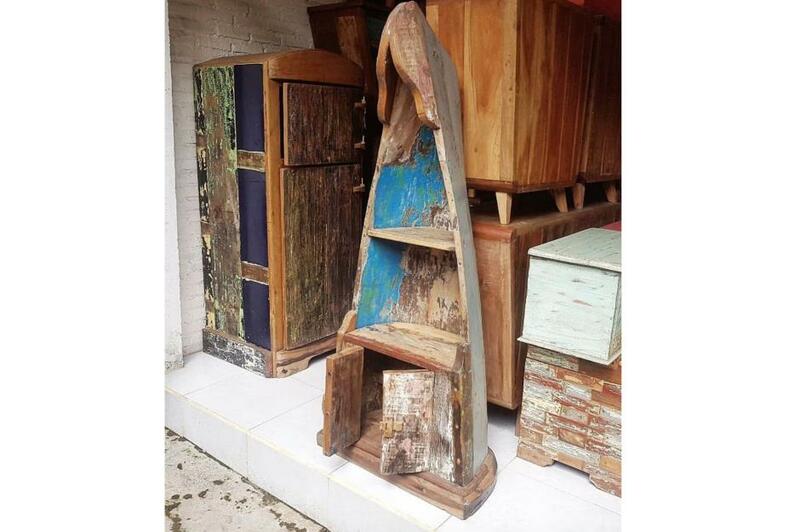 This can make for a beautifully rustic bookcase or garden storage. Just attach a few together – go for a building block style by turning them on their sides and ends, like this one by the queen of crafting, Martha Stewart. 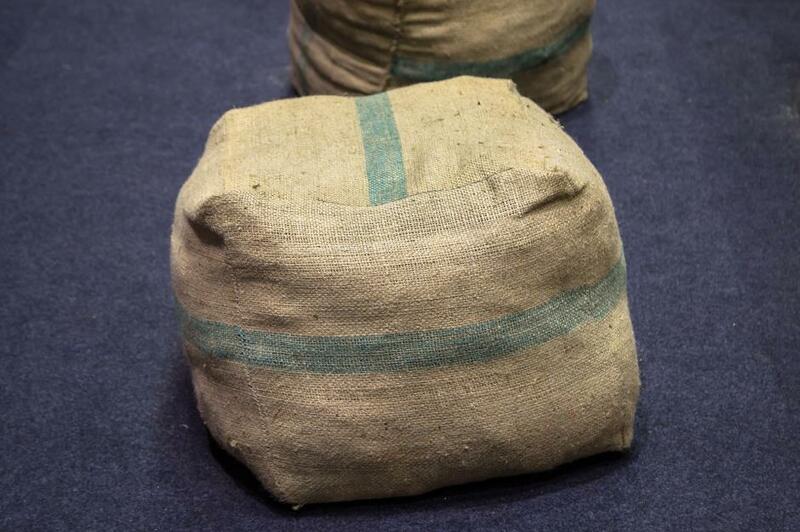 An old sack can be turned into a charming foot rest or simple bean bag seat with some basic sewing. Fill with dried beans or old fabrics and it'll last for decades. The cheapest way to get plant pots that are big enough for small trees is to use up any old rubbish bins lying around. All these need is a clean and then fill halfway with rocks before adding soil, to allow for drainage. If you live in a wet climate, it may also be worth drilling a hole in the bottom. 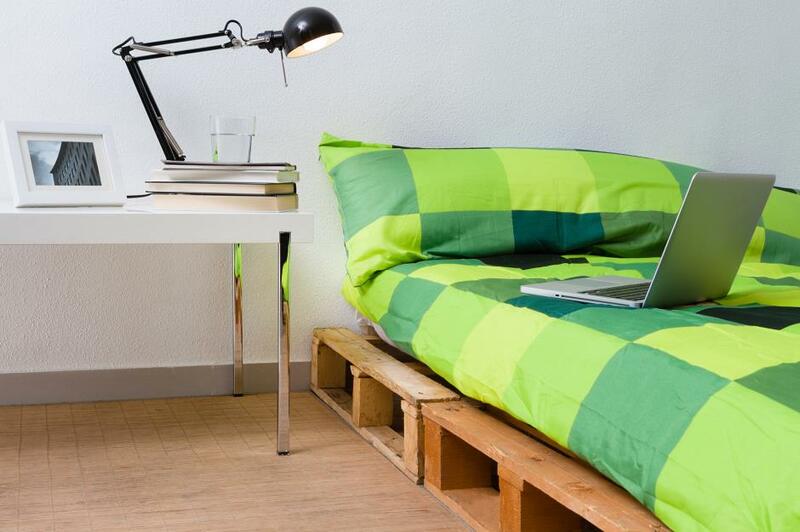 The last in the amazing line of things you can do with an old pallet is to make a bed out of them. Either use them to raise your mattress off the floor, or create a spare bed using a futon mattress and rolling it up on top of the wooden pallets when it's not being used. Love this? Check ou these 58 beautiful bedroom ideas. 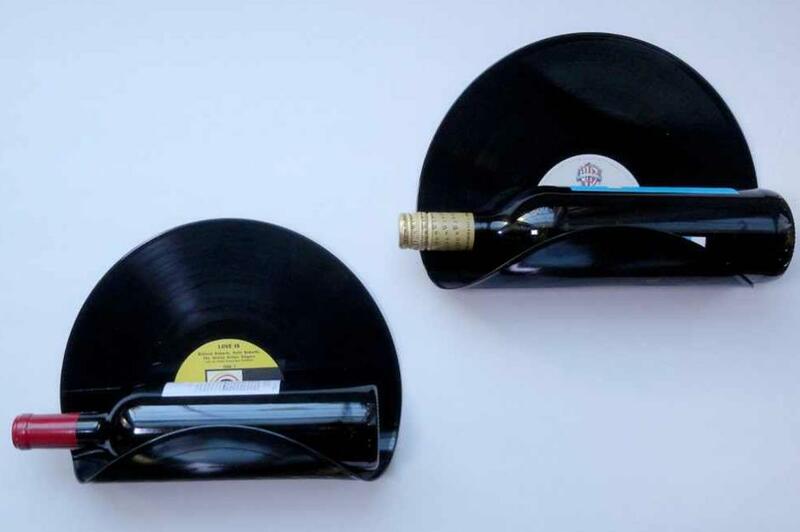 In our mind wine and music go hand in hand. 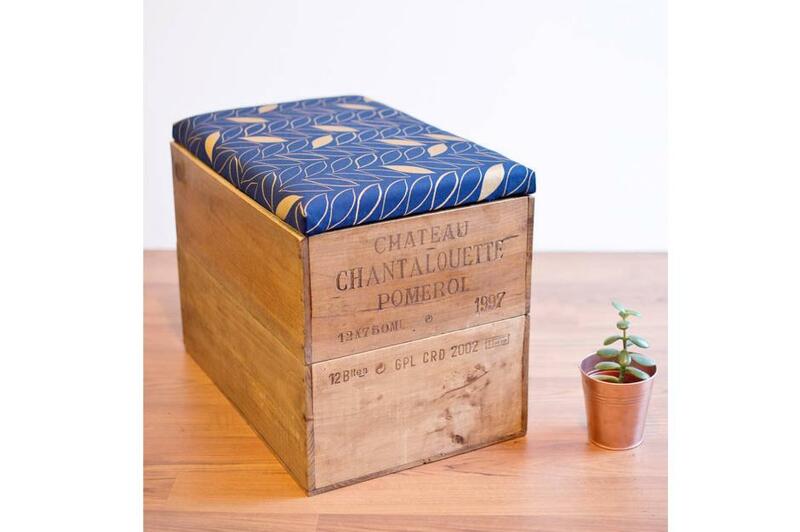 So where better to keep all your music books and papers than a wine crate piano stool? 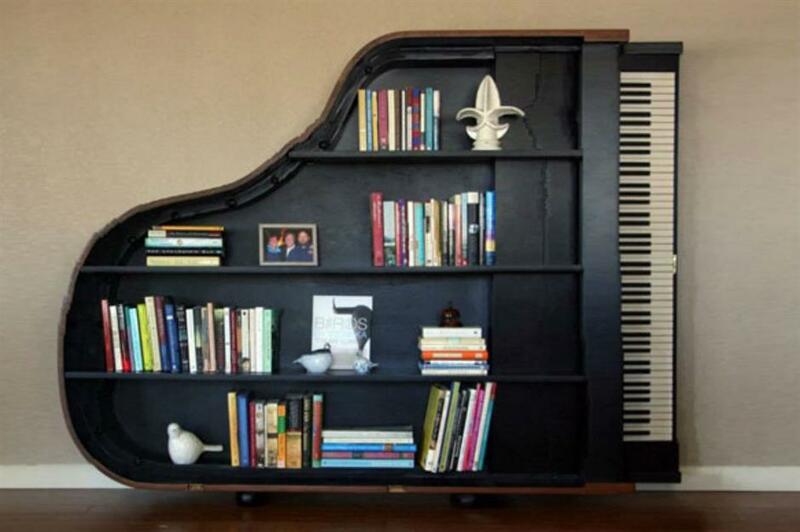 Add an upholstered top to make it comfortable while playing and it'll look perfect tucked next to an upright. This is more ambitious upcycling project, but the result is a beautiful feature for your home. Used here is antique manuscript paper, but you could also use magazines, postcards or other art. 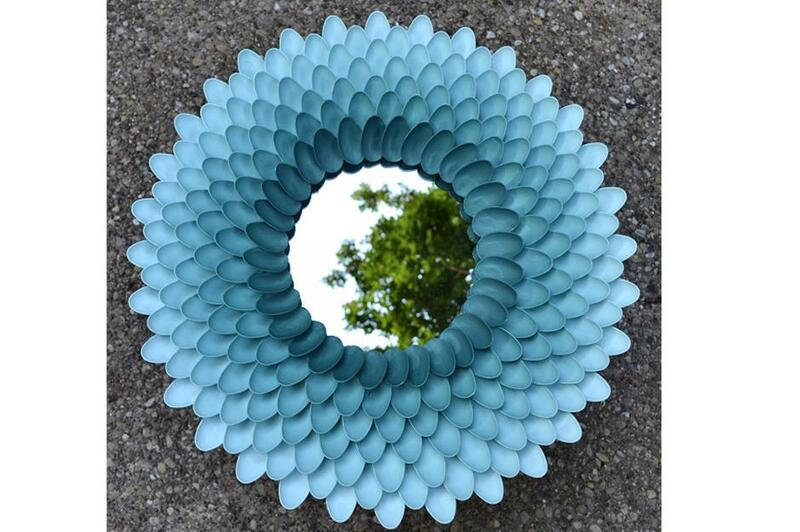 Can you believe that this mirror is decorated entirely with plastic spoons? They've been spray painted in different tones, and stuck around a carboot-bought mirror, creating a great wall decoration while recycling plastic. Here the same tones of blue have been used in an ombre design, but you can play with colour as much as you like. 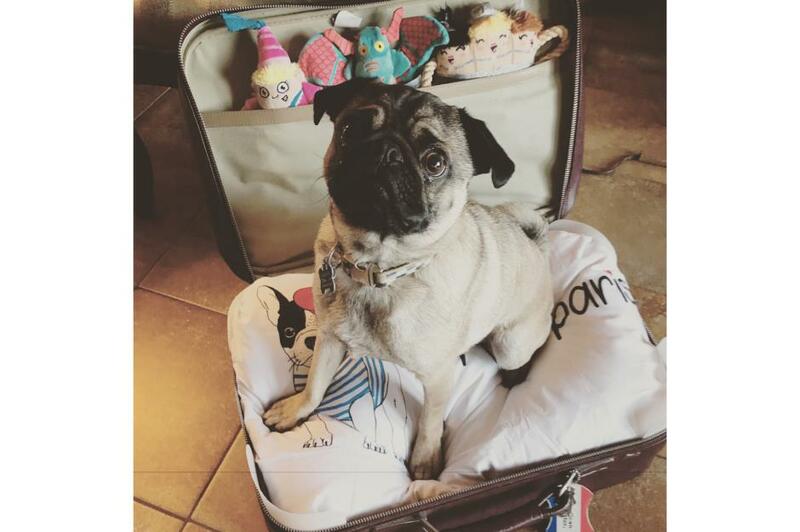 Turn your pup's bed into a fun feature with this easy idea for a dog basket and toy storage area out of an old suitcase. You can even close it and tuck it out of the way when it's not in use... if you can convince your pug to get up. Forget your layered lunches and wedding crafts, indoor plants are where it's at. Make your own terrarium to add some low-cost greenery to your home. 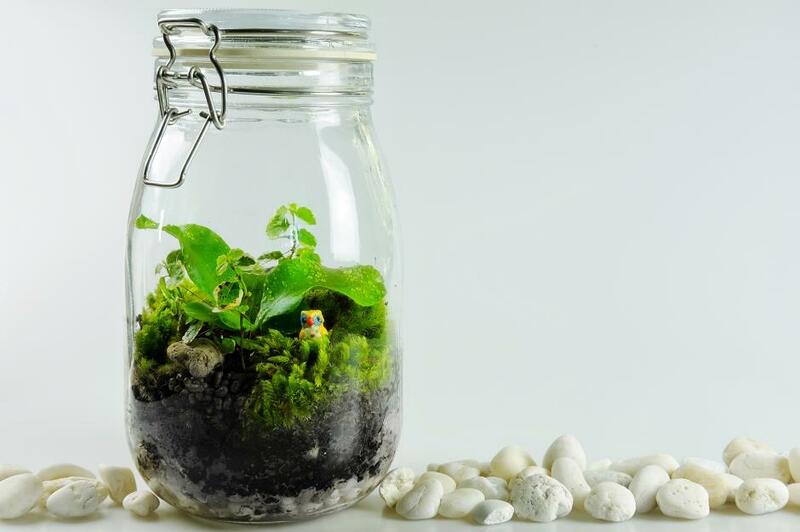 Just layer up sand or grit, then compost and some small cuttings, moss and even tiny toys to create a world within a jar. Love this? These easy gardening hacks take the graft out of growing. 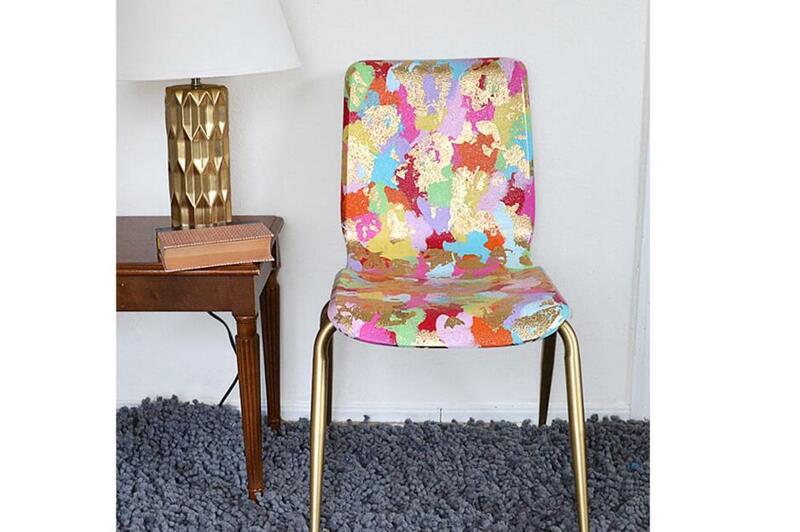 If you want to add real retro vibes to your lounge, this creative upcycle is just the ticket. 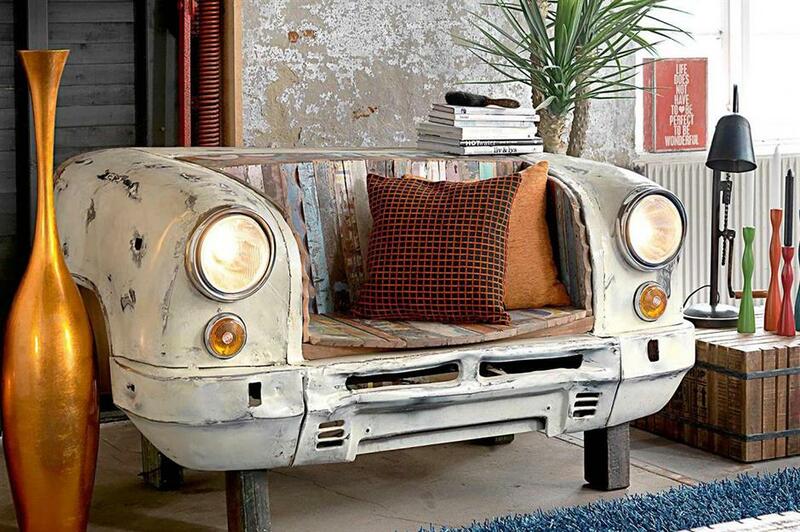 The front of an old car has been transformed into a statement sofa, with a seat created from recycled wood boarding. Scour your local salvaged yards for the right vintage vehicle then consult with a blacksmith to solder it into shape.